Fixtoe is the device for correct alignment of deformed toes. Easy to put on. Comfortable, light material and washable. Fixtoe relieves daily foot pain. Fixtoe is the device for the correct alignment of the toes. Easy to put on. Comfortable, light material and washable. The product has been developed and patented by Spanish podiatrists. An effective solution for hammer toe. 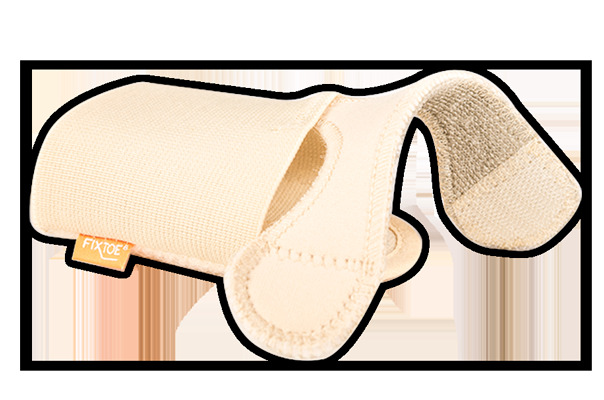 Also suitable for the treatment of metatarsal pain, plantar callus, toe protection, hammer toes, bunions, stabilization. 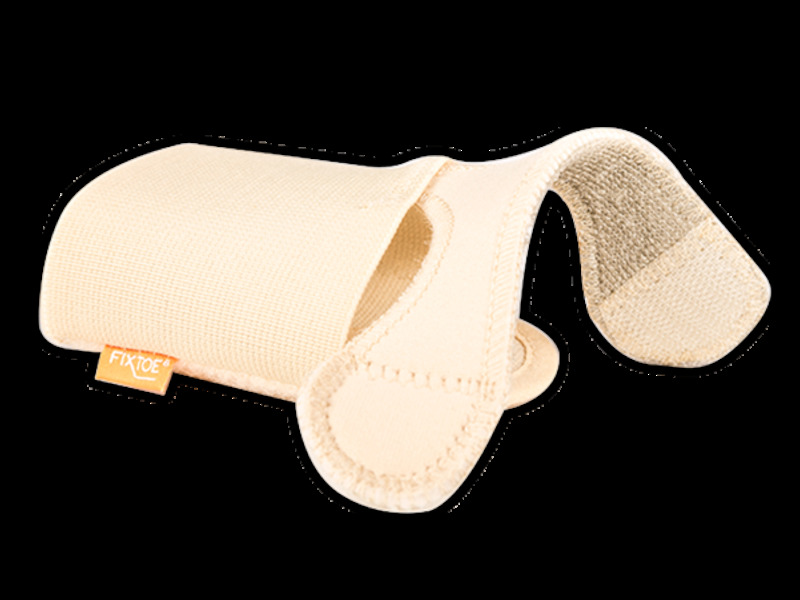 Fixtoe relieves daily foot pain. Designed for people who need special footwear for specific deformation. Thanks to the high-quality material, Fixtoe adapts to the ergonomics of the foot, providing comfort with every type of footwear. Effectively relieves painful movements during daily and sporty life. Medium: shoe size 35-37. Circumference forefoot <21 cm. Large: shoe size 38-41. Even if you have size 37 with a bunion. Circumference of the forefoot> 22 cm. XL: shoe size 42-46. Even if you have size 42 with a bunion. Circumference of the forefoot> 23 cm.